Often overlooked, cushion storage bags provide a convenient way to store your outdoor chair and chaise lounge cushions when they are not being used. 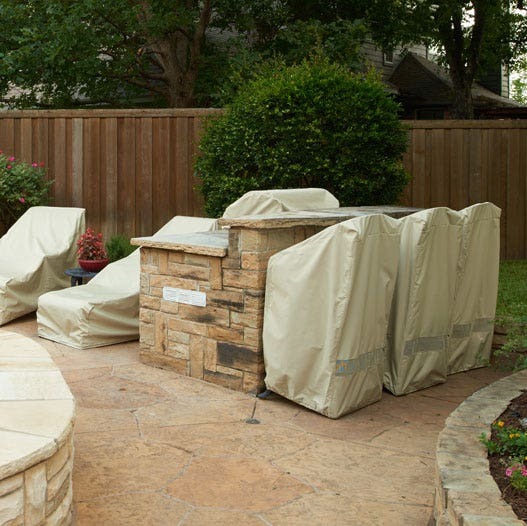 While today's patio furniture frames can withstand some exposure to nature, expensive patio furniture cushions can easily fade, mold, or become home to pests. 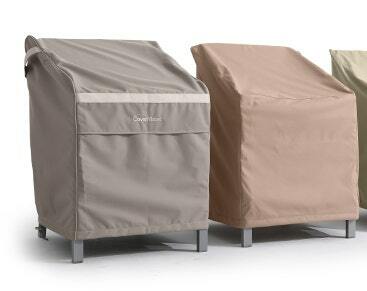 Our cushion storage bags are designed to keep your patio furniture cushions looking great season after season. Our cushion storage bags have non-metal zippers and zipper pull hardware that will not rust or corrode and double strap handles for easy carrying. Note: We do not recommend that you store your cushion storage bags outside. Bring them inside and keep them in a cool, dry place. 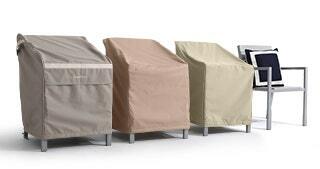 Best Coverage for Winter Storage of outdoor furniture. As alaways from Coverstire, a quality product! I just bought the Cushion Storage Bag. It worked great for my cushions and I will be storing them for the winter. I will update you come spring, if they come out of the bag in perfect condition. These are well made covers. 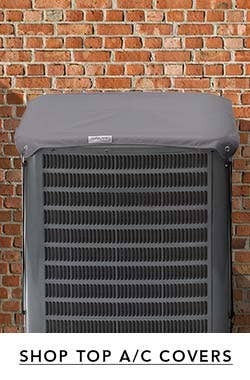 I plan to store the patio cushions in our garage and want to protect them dust and sawdust. Everything arrived in a reasonable time and in good order. 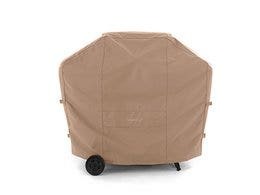 Great bag to store the cushions of our good outside chairs. Hope to use it year after year. Very prompt and efficient service from The Cover Store. 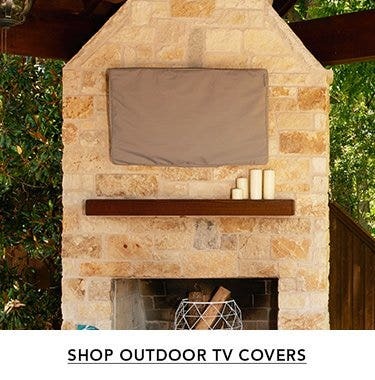 I bought this cover specifically to store my patio cushions in while outside instead of bringing them in and out of the house. This was the only thing I could find that was big enough to hold my cushions. The cover is very strong and should protect them. I am a little concerned about the air vent though. If the cushions get wet inside, they will mold out. We'll see what happens. Big and spacious. Holds all 10 of our chair cushions plus 2 ottoman cushions. Excellent quality, very durable, strong zippers. Great service from the COVER store. These are great covers.  The quality is very good - nothing like what you'd find at your local big box store. I wish, however, that there were a few more sizes than medium and large. 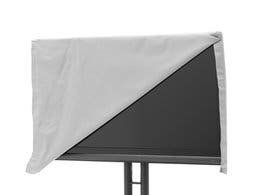 Excellent quality, fabric and construct. 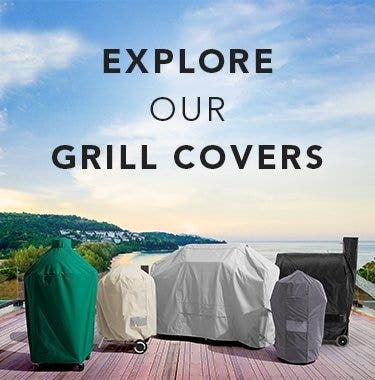 I have many other products from Cover Store and all excellent. Speedy service and great customer service as well. We could not find a replacement bag for our 6 patio chair cushions. This one is longer than we needed but the only one we could find to hold all 6 without straining the zipper and handles. This one seems to work ok. Perfect for keeping the cushions clean and tidy in my garage. Delivery was exactly as advertised. Excellent quality fabric. 3 chaise loung cushions fit easily. I had been searching for something reasonably priced that could be easily stored while not in use. The cushion storage bag fit my criteria perfectly. I ordered 3 of the largest Elite bags. Each bag appears to be well made and holds 2 sets of deep seating cushions, as well as, 2 16"square and 4 lumbar throw pillows. There is even some extra room! Loved the container which fis able to our three seat swing cushions , two lawn chair cushions (large), and bench cushion perfectly with room to spare. Although this is not hard sided, it fits a shelf in the garages perfectly and is easy to access and store! Arrived early and was perfect! Thanks so much! I gave these 4 stars as I have just received them and loaded them with the cushions. Time will tell if they protect them from the elements (stored inside cool basement). Everything fit well and bag closed easily. Nice color. They're very well made and it's really convenient to carry rather than making multiple trips. Shipping was quick. Be sure to order the right size with the least amount of spare space, with larger bags they tend to bend and fall when stacked. It's a great product. Excellent product! This is the second bag that I bought to store my outdoor couch cushions over the winter. 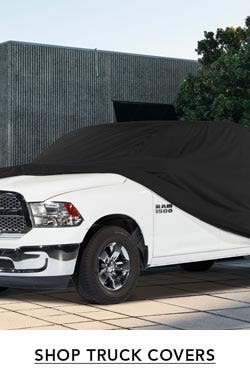 I simply put the cushions in the bag, place it on the wicker frame of the couch and cover with the couch cover (also purchased here)for the entire winter. The cushions "breathe" in the bag - no mold or mildew - and everything looks new in the spring! Although the couch is on a screened in porch, the snow blows in and everything stays dry and clean. Love all the covers sold on this site. I have several - table, ottoman, sectional couch, tv cover & two cushion bags -- great quality and good customer service. Love this site! 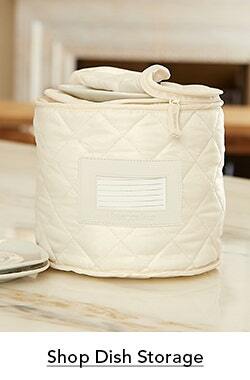 This storage bag holds all the dining chair pads and lounge chair pads and helps keep them dry and clean. After much searching for extra large storage bags for my outdoor sectional cushions and throw pillows, I finally found your store online. You had exactly what I had in mind. I ordered 3 of the 75x18x26 bags and was able to store all of my pillows and cushions with peace of mind. They are roomy enough that everything has a chance to breathe and the pillows will look as good next spring as they did when I stored them.They are very well made and sturdy, and I was even able to lift each one of them and store them in a 3rd story attic by myself. Thanks for offering so many different sized bags. They arrived the same week I ordered them, so I was able to get a head start on my fall deck cleanup. I will definitely be ordering from you again. Fits 8 cushions, but it is very large. Should have gotten two smaller bags. A high quality product of a very good size. And delivered by a very helpful and efficient company who shipped to our hotel in less than 24 hours from order, when we were passing through Texas. Nice to have a place to put the summer cushions. Really well made, and all my chair cushions fit, including the ottomans. Haven't used it enough to rate it a 5. Looks good. Quality construction with good zipper. Very large and a little hard for one person to handle when it is stuffed full. Be sure you have a storage space in mind for this 6' + bag. Easy to load and does the job. With the ventilation holes I'm not sure it is designed for use in heavy rain. Light showers Ok but mainly for storage in a protected area. 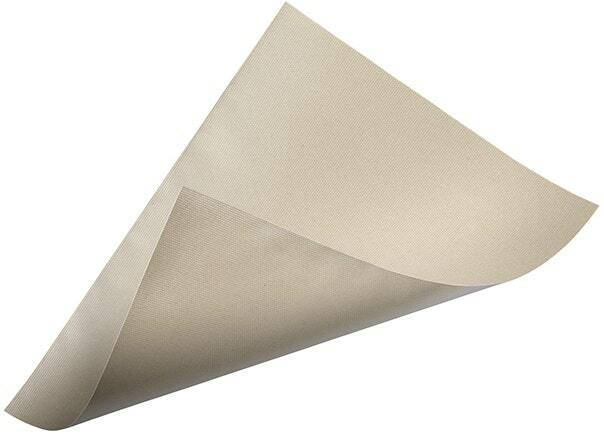 Sturdy, vented, best quality. Exactly what I was looking for. I would have found it helpful if there was a base to the bag to provide some structure when carrying it to the storage location. Arrived late because of shipping error. So far, it is an excellent product. It looks like the picture, and it is light weight and easy to handle. 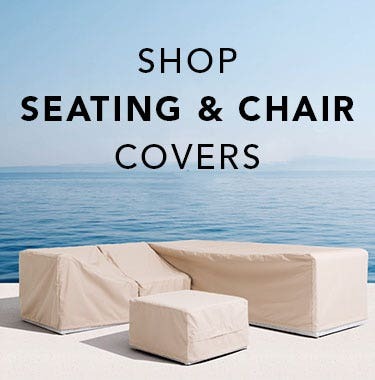 I was looking for a quality cover to store 8 decent-sized chair cushions. Nothing was available at local retail/big-box stores. I quickly found the Cover Store & they had a product that met my needs for cushion dimensions, quality etc. THe product arrived in the time frame promised and I have been very pleased with the quality. The size/dimensions work great for my storage needs. Holds REALLY large cushions. Well-made. Great for in-garage storage. Color had a greenish tint; preferred the tan color in the more expensive line. A good choice, it seems. Hope it lasts a few years. I am going to store my golf cart winter enclosure in mine, in the garage. Wish it was a little longer, but it works rather well. these bags are great quality and size for the price. we are using them to store our outdoor cushions during the winter in our garage. 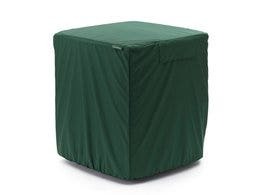 These covers and storage units are wonderful to protect all of you outdoor cushions and furniture. They are well constructed and last a few seasons. I have a curved sectional sofa and this bag held all 4 large bottom cushions, 3 out of 8 medium sized back cushions and 4 decorative pillows in this bag. That is great when you have to tote all of these cushions in for the winter season. The handles are a good size that you can pick up and carry or slide your arm into it which is especially helpfull for the large bag because of the length. I will purchase the smaller bag for the remaining pillows and be complete. Great bag, great new condition and great service. Counld not ask for more. Cheers! Quick delivery. exactly as shown and very good quality product. Searched extensively to find solution for camping gear container to carry on the back deck of my RV. Other than an actual large box with a lid which would have cost $150+, this type of canvas bag was the next-best solution. Fits my folding chairs and tables perfectly. I rated this product 4 out of 5 stars because the more expensive bag probably holds up longer. So far so good...we'll see how they look in the spring. I bought several to store all my cushions in, but ended up using them to store our 12 ft christmas tree in sections. The tree doesn't always fold back tighly and this made storing a breeze. I have since purchased more for my cushions. Love the quality and the sizes they offer for the many things we need to cover and store for the colder months. Very good quality storage bag...just what I needed.